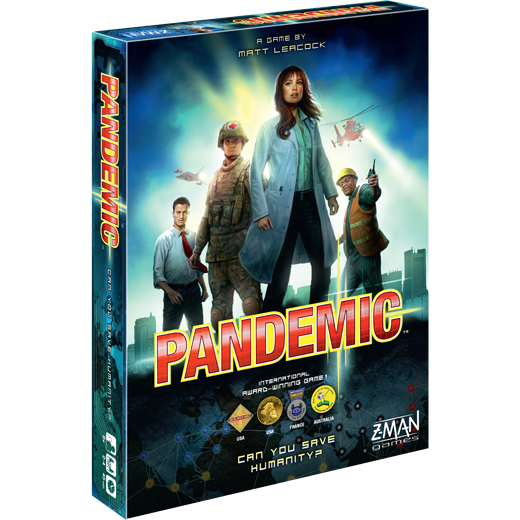 With diseases cropping up all over the planet, Pandemic takes place on a global scale. 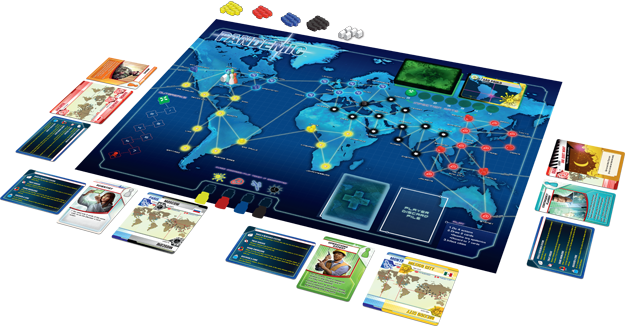 Over the course of the game, players use actions to move between hotspots while treating diseases and setting up a network of research stations that help them cure diseases and make movement more efficient. 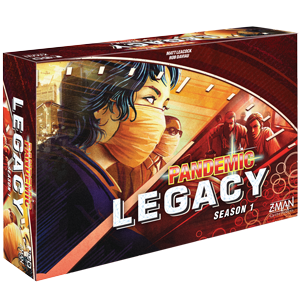 Each player manages a hand of cards matching the colors of the four diseases. 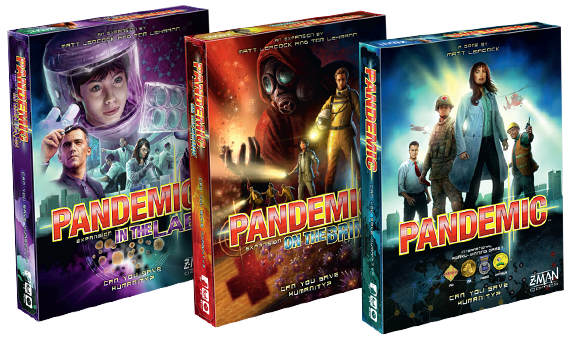 These cards allow them to travel more quickly between cities or—if a single player can collect five cards of the same color—discover a cure for a disease. But plenty of challenges stand in their way. 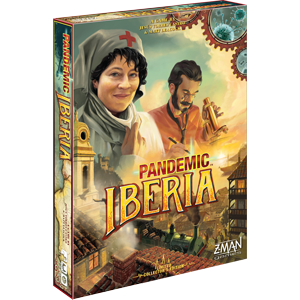 Outbreaks can spread diseases across the board and random epidemics can intensify a disease in a moment’s notice. It’ll take everything you’ve got to keep things under control. Whether there are two players or four, everyone must work together applying their various skills to benefit the team—and the world. 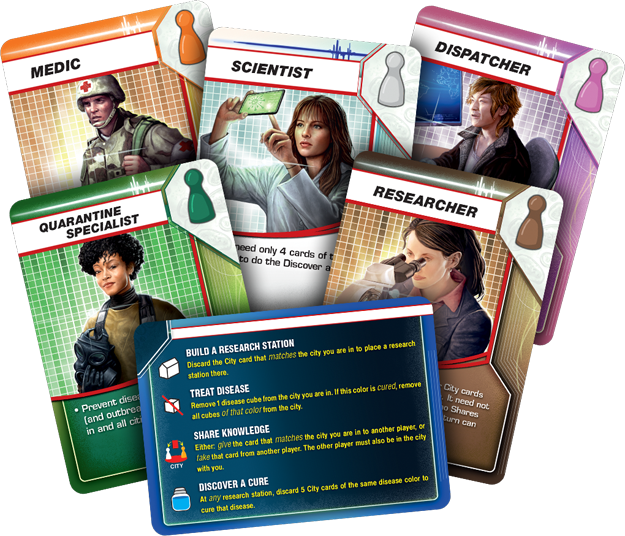 To that end, at the start of the game, each player takes one of seven role cards that grants a special ability. 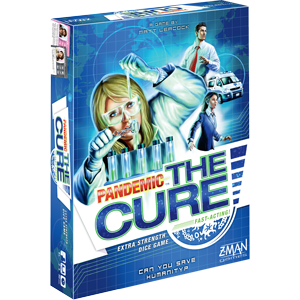 The Scientist, for example, only needs four cards of the same color to cure a disease, and the Dispatcher can move other players’ pawns as their own. Each role opens new possibilities and syncs with the other roles, so players can devise new strategies to help the team most effectively. 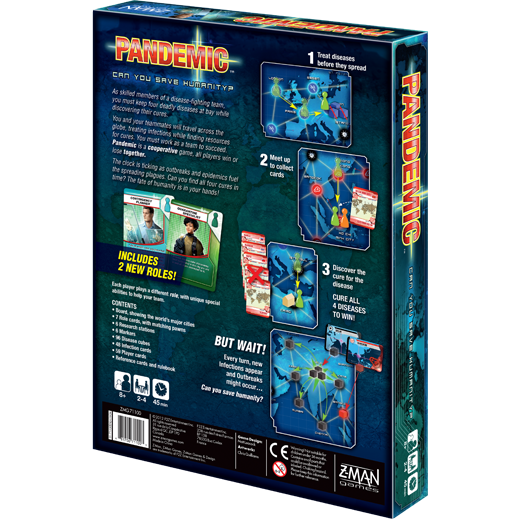 In addition to the roles, there are other ways to add variety to every game of Pandemic. 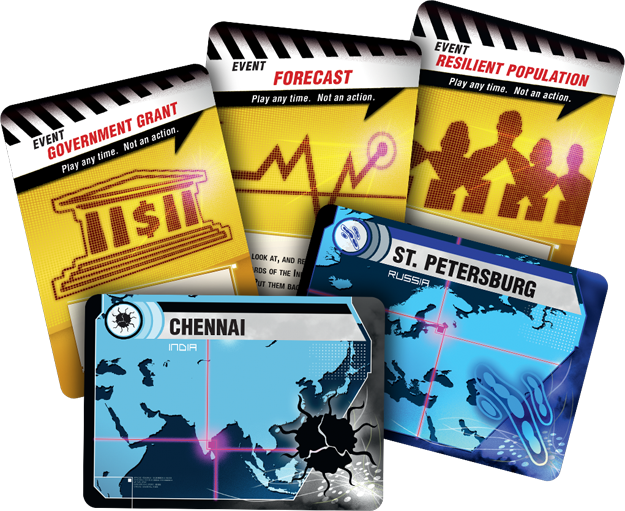 Different cities are infected at the beginning of each game, presenting a new challenge every time. 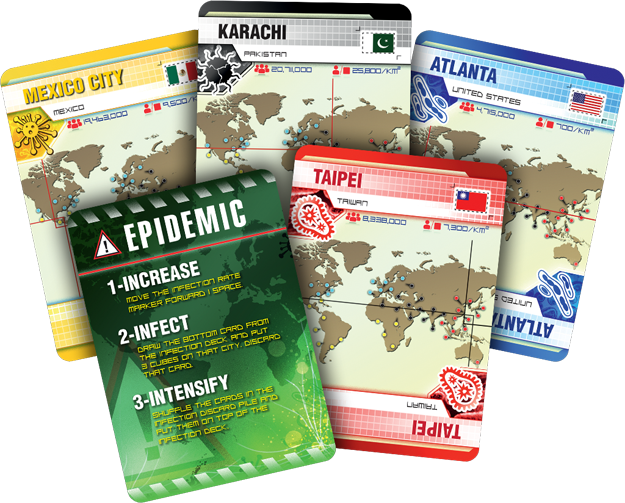 Plus, expert players can make the game more challenging by increasing the chances of deadly epidemics. It will take clear communication and precise planning to deal with these dangerous diseases. 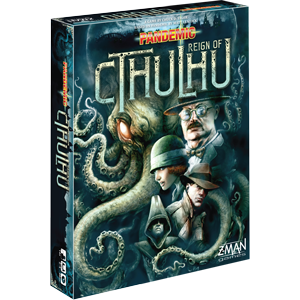 Only the most experienced teams can overcome this threat and save humanity!